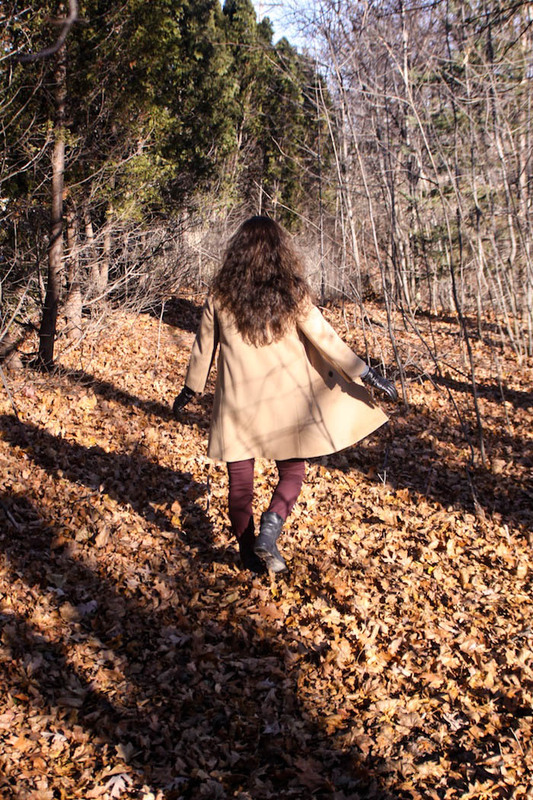 Frolicking in the autumn leaves is never not a good idea. Céline sunglasses, J. Crew coat (similar) and sweater (similar), James Perse tank, J Brand jeans (on sale! 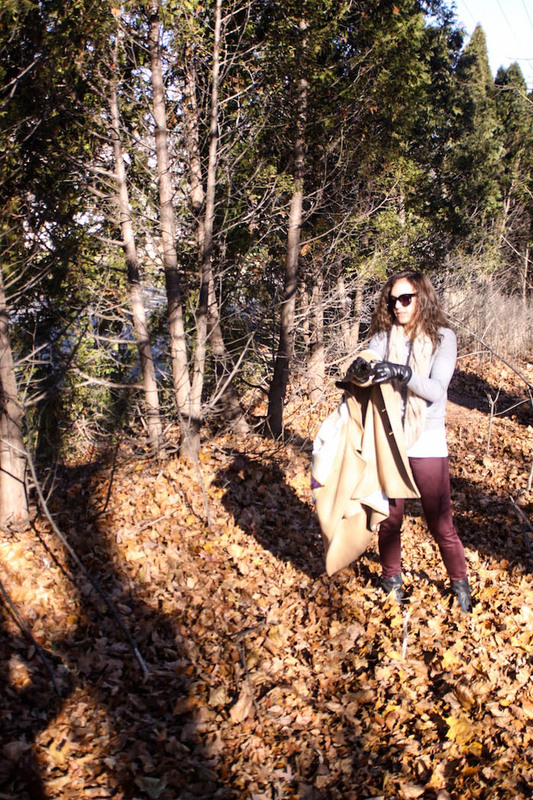 ), Isabel Marant boots, Nordstrom gloves, Urban Outfitters scarf (similar J. Crew). I love to see young women wearing gloves! those pants and the jacket are awesome!! 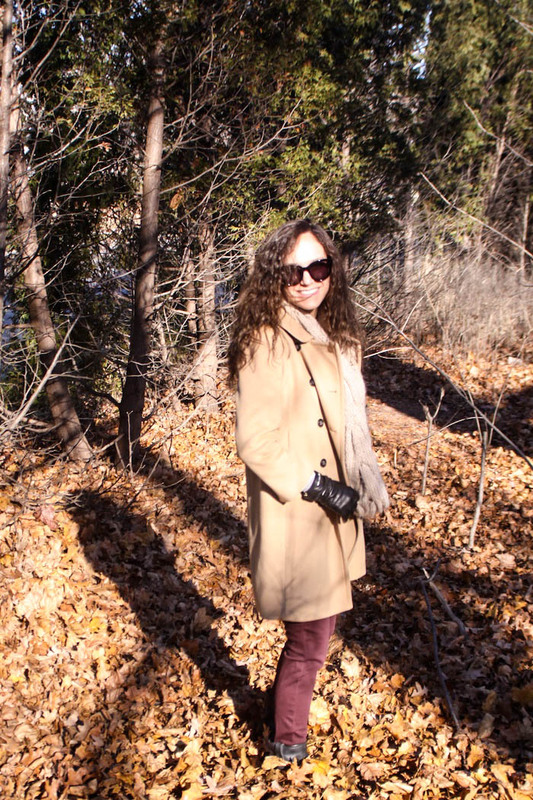 love this fall outfit! Pretty coat and fun pics! Aw! These pictures are fun! Im obsessed with the color of your jeans! I love your autumn look! Your coat and colored jeans are fantastic! Warm and chic! Adoro il colore dei pantaloni ;D Reb, xoxo. Adorabili queste fotografie e davvero allegre! Great layering girl! 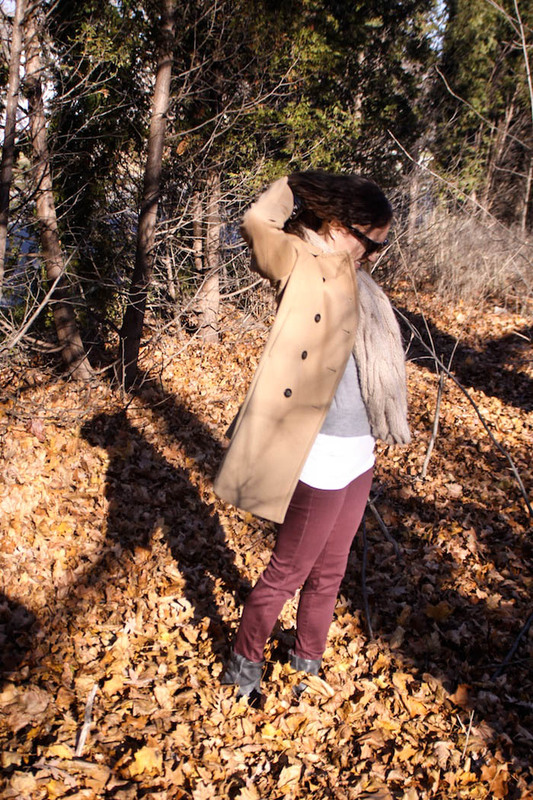 Love the burgundy jeans - and the leaves background is too fun! pretty look, I love your pants!! 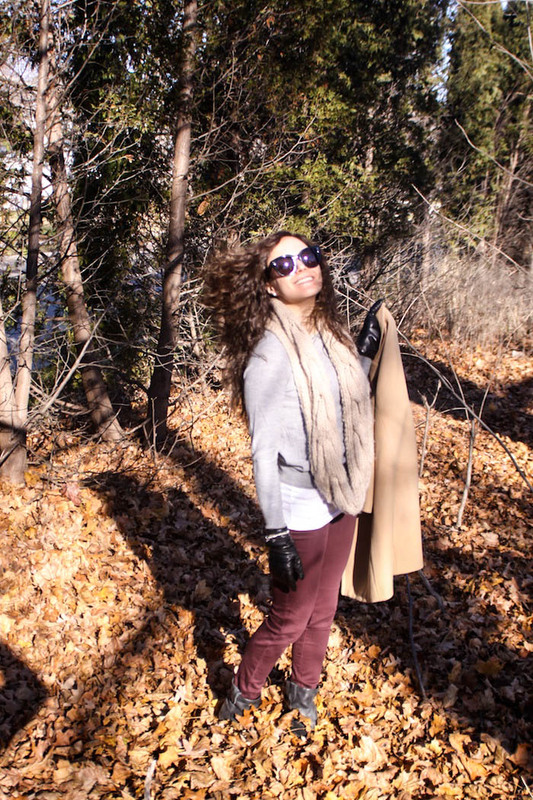 You've got so many great fall trends going on here - and I love that you wore your snood long! You never see that! So cool! I love your coat!